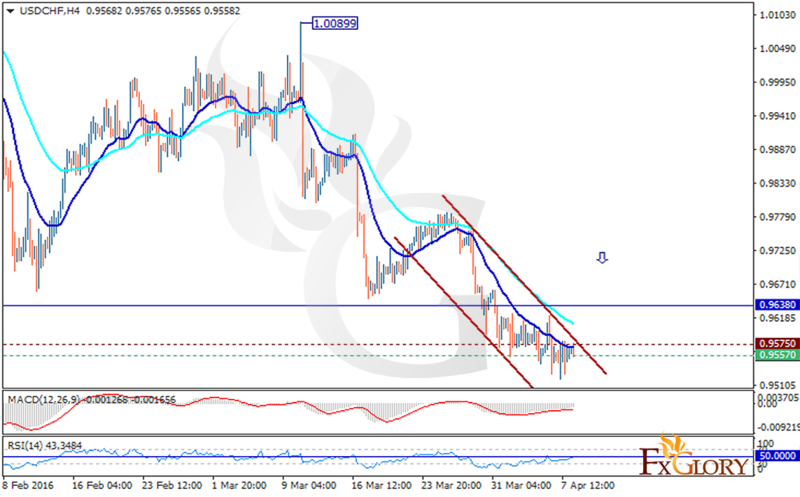 USDCHF is under pressure and is moving in lower ranges falling within the descendant channel. The fall has started from the previous high at 1.00899. At the moment it is trading below the EMA of 20 which is below the EMA of 50 as well. The price is below the weekly pivot point at 0.9638 finding support at 0.9557 with resistance at 0.9575. The MACD indicator is negative territory close to the neutral zone with the RSI getting close to the 50 level. Short positions are recommended with the 0.9520 target.